Street Department says they were "always intended to be temporary." 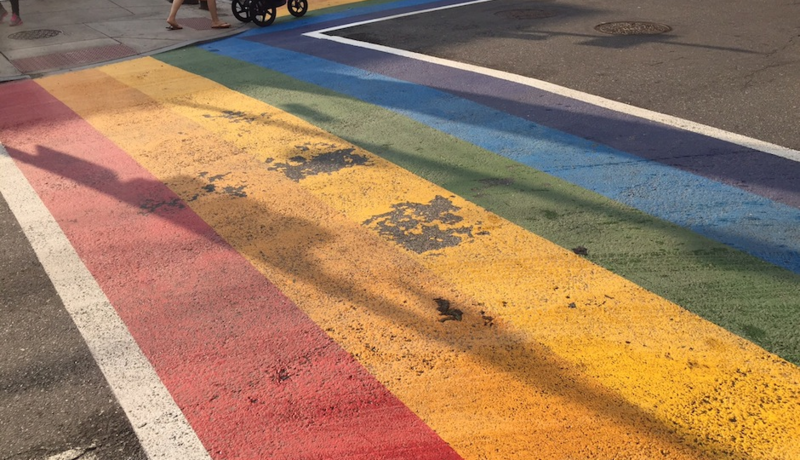 By Bryan Buttler·	 7/1/2015, 10:39 a.m.
Picture of one of the rainbow crosswalks as of this morning, 7/1/15. I guess there was just too much twerking on those new rainbow crosswalks at 13th and Locust Streets. After having their triumphant debut less than a week ago, the colorful roads look like they’ve been the victim of years of wear and tear. 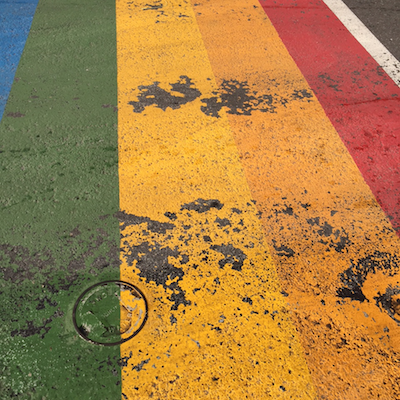 A picture of the rainbow crosswalks as of 7/1/15. I received several emails yesterday afternoon from readers saying they were quite shocked at how awful the crosswalks looked after just a week of use. I walked over this morning to take a look, and they looked terrible: Each crosswalk had chunks of color missing (especially in the yellow areas). One crosswalk, which is pictured to the right here, had pretty extensive wear and tear across the entire rainbow. Sure, we were all thinking the rainbows might eventually fade, but after one week, this seems a little extreme.